A beautiful womens court shoe by Irregular Choice. Classically ladylike, Ban Joe are the perfect mid heeled shoe to keep your feet both classy and comfy as you dance the night away. 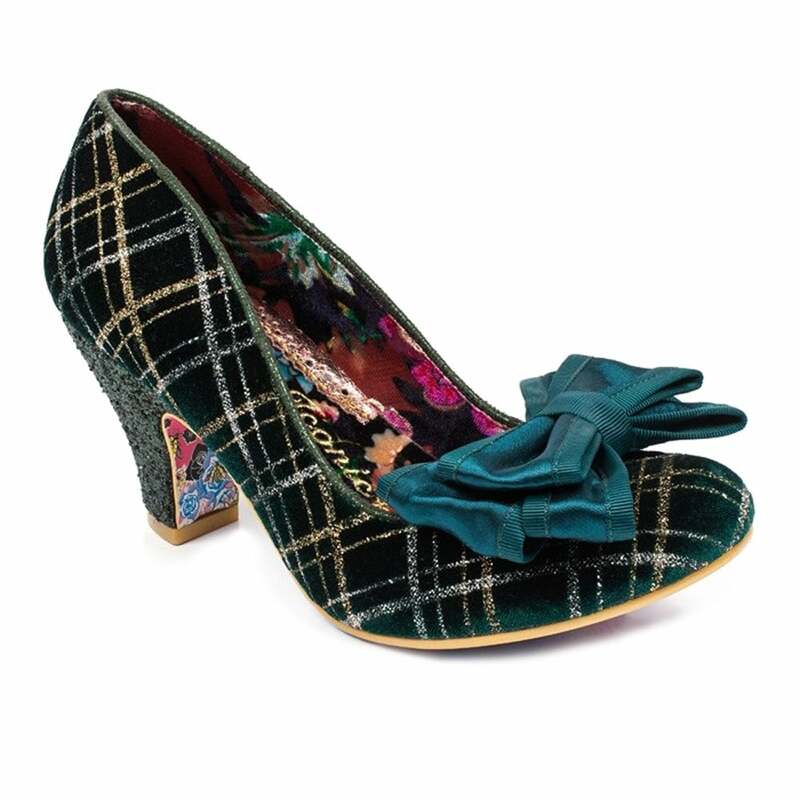 With green fabric and a gorgeous double bow decorating the toe, this pair will sparkle their way in to your heart. Featuring a glitter encrusted mid heel and metallic crosshatch effect upper. Even the sole of the shoe is beautifully decorated in such a pretty design of cats and butterflies it's almost a shame to walk on it!